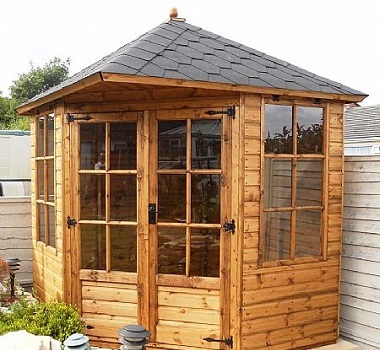 Westree Company supply and erect a selection of pre-manufactured garden summerhouses, along with our own bespoke build garden buildings. 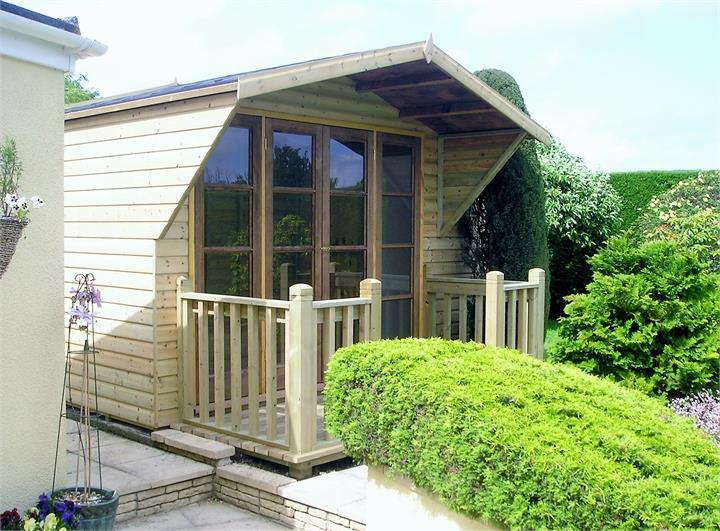 Our summerhouses have Ship-lap cladding and are constructed on a prepared frame work. Summerhouses come complete with glass windows and green mineral felt for the roof. 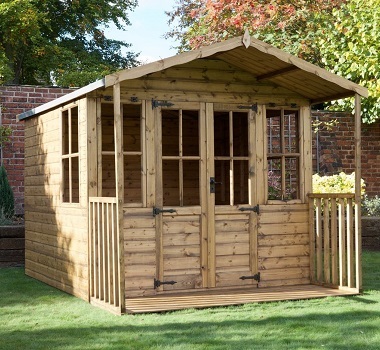 Delivery of our summerhouses is normally within three weeks. As with all our buildings we offer a full fitting service. 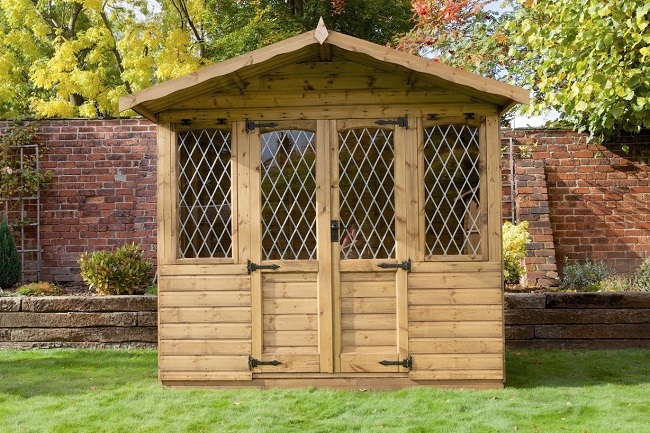 This summerhouse with its excellent looks would suit most gardens and make an excellent feature. Large windows and glazed door gives all round good looks. A 2’ 6″ veranda (shown) is available as an extra. 8ft x 6ft, 8ft x 8ft, 8ft x 10ft, 10ft x 6ft, 10ft x 8ft, 10ft x 10ft, 12ft x 8ft, and 12ft x 10ft. Cladding :- 12mm T&G Ship-lap. For all of our buildings we offer a full base preparation and shed erection service. 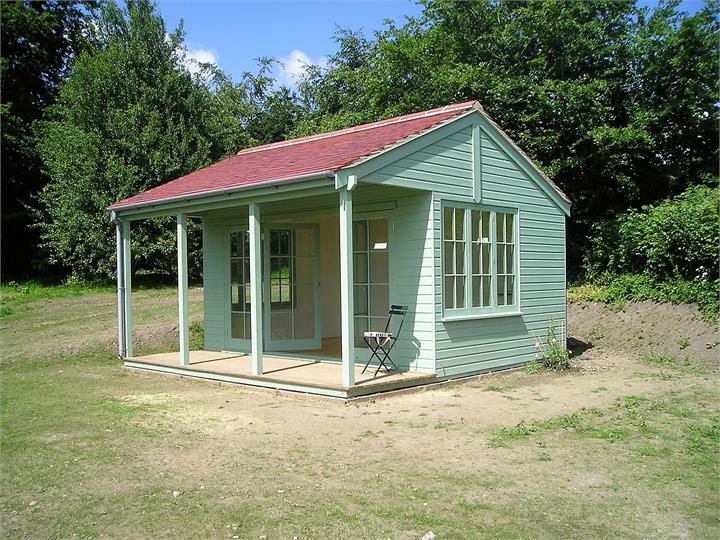 The Dover is an excellent looking summerhouse with an attractive three section Georgian bay window and door at the front and opening windows to each side. 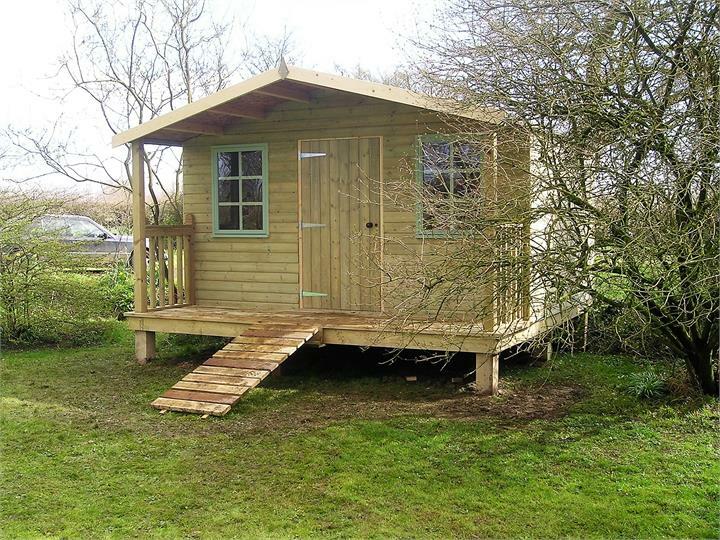 A 2’ 6″ or 4′ veranda is available as an extra. Windows :- Three, Two Opening. 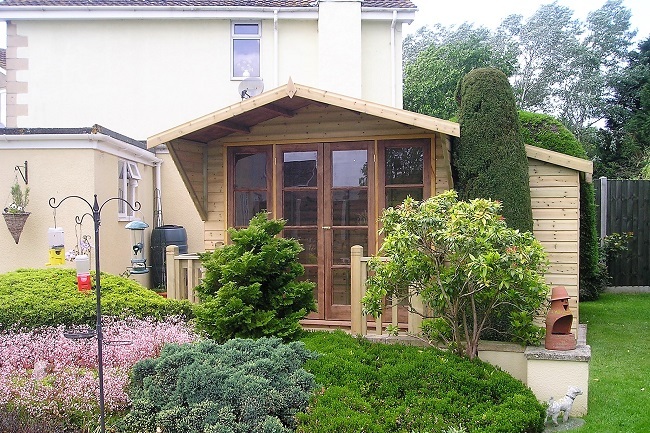 The Cornerhouse is designed to fit and enhance any corner of your garden. Features double georgian doors and opening windows. 6ft x 6ft, 7ft x 7ft, and 8ft x 8ft. 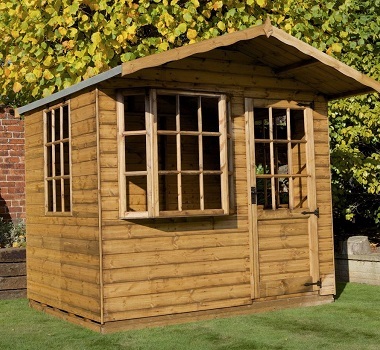 The Pitched Corner is an attractive corner summerhouse that has a four way pitched roof. 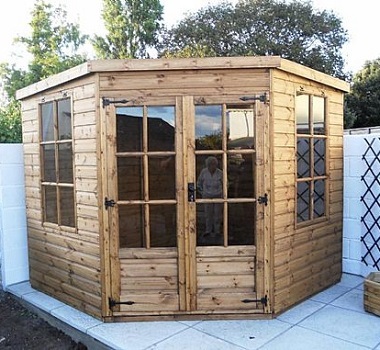 Here are some examples of our quality timber garden summerhouses. All are custom built to our highest standards and to your requirements. As we build to order any size or shape can be catered for, please contact us for a free written quotation. A full range of external cladding options. Doors of any size and style. Find Out More Supplier Of Quality Hardwood Logs.